I have one nerd-tastic project to share today. We recently added a chess board to our outdoor game table (click here for the post about my awesome game table). I decided I needed some chess pieces to go with our new board. I was all set to make a traditional chess set. 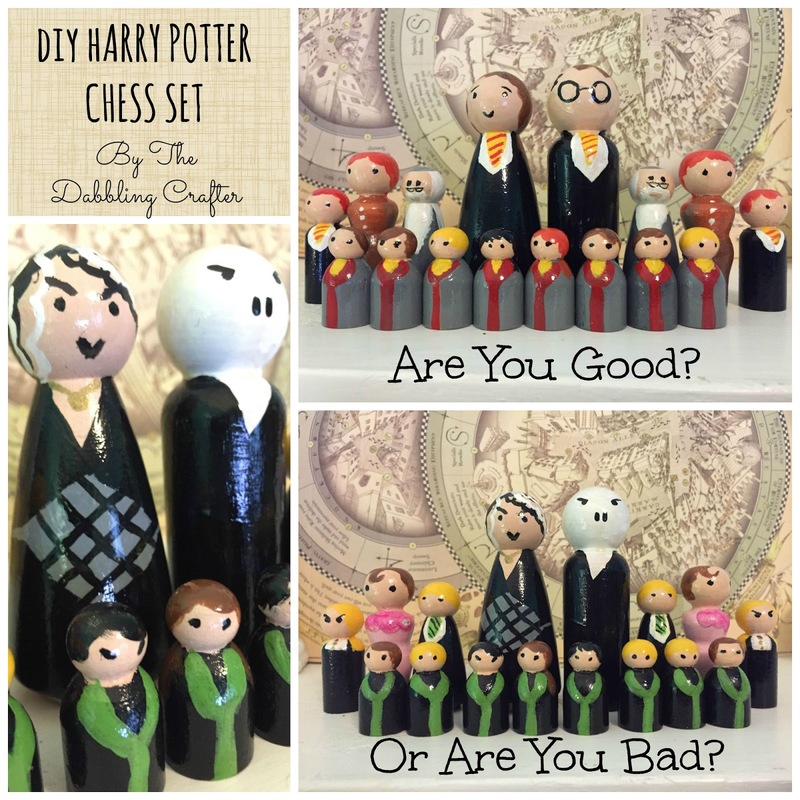 While trying to find some ideas, I ran across this awesome tutorial by Carrielynneh for making a Harry Potter inspired chess set. Her set was really interesting and unique, so I decided to abandon the traditional set and go with a new nerdy set. Once I was done painting everything, each piece got two coats of poly so they will be durable. I then took a plastic bead container I already had and modified it to fit the set. The set is ready to use! Now if I could only convince my husband to join the Harry Potter band wagon. Painting Done, but No Poly Yet! Painting Done and Poly is Dry!